Educating to expand perspective and insight. Mobilizing individuals and organizations to engage. Equipping clients with tools to be more effective. Add value by bringing practical, educational and administrative resources. Identify areas that can make your organization more effective. Gain traction and build capacity for growth. An effective catalyst in helping your organization embrace a new direction. Provide insight and direction that delivers tangible results. Equip employees and volunteers with specific skill sets. Expose organizations to people and methods of engaging beyond their organization. Think like a Prophet. Serve like a Priest. Plan like a King. Susan has the wisdom to underwrite transformation. 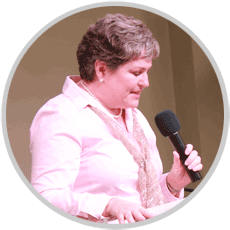 Susan Nichols never fails to be a wealth of passion, information, and encouragement. We were overwhelmed when it came to paperwork, legal procedures and board member manuals. Susan was calm, assuring and professional and gave our organization day by day, easy, step by step directions and clarity to overcome and achieve victory. In the few months, she has been with us, our organization has totally turned around and is now on firm ground to move forward and impact our community greatly! We could never have done this without Susan. Few people in life are selfless to be a bridge that connects different worlds for a common good. For over seven years Susan has been a wealth of information and resource, my go-to person for anything nonprofit and community engagement. 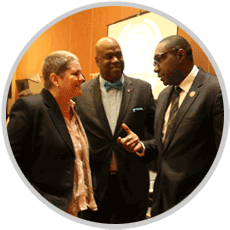 Her irrefutable skills as a connector and communicator have had significant influence in our nonprofit and she has done more to position and expand our organizational effectiveness than anyone else I have ever known. 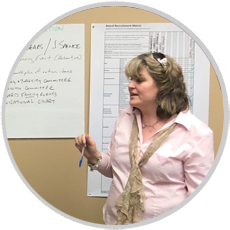 Susan conducted a board member workshop for our organization and she was an invaluable, strategic asset to the organization and its board members. Susan's assistance in the areas of organizational development & operation manuals, board & staff development ideas, and funding & business planning provided a roadmap for our board members to clearly define and achieve our goals. She is an infinite resource of ideas, networking, and strategic planning. Is your nonprofit, business or church ready to take its strategic impact to the next level? Book Susan to speak at your next event, facilitate a workshop or consult with your team by simply filling out this quick and easy request form.